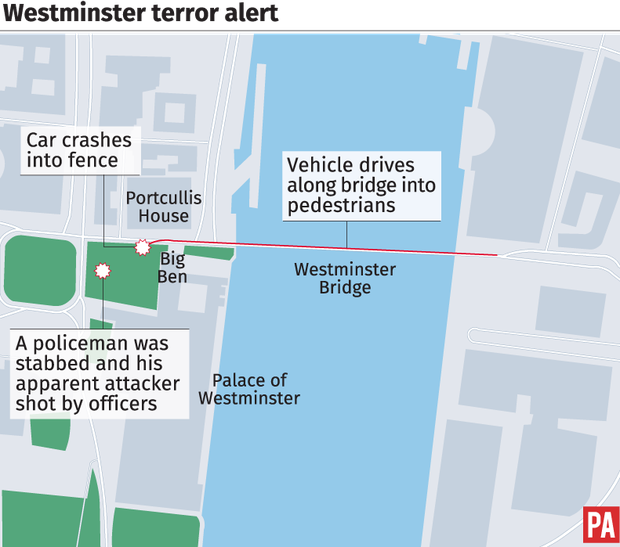 A senior Fianna Fáil member narrowly missed encountering a man suspected of carrying out a London 'terrorist' attack, Independent.ie can reveal. Arthur Griffin, vice president of the party, was at a meeting in the Liberal Democrats HQ in London this afternoon before walking across to parliament buildings at Westminster. Just 30 seconds later a suspected terrorist burst through that same entrance and stabbed a police officer before being shot himself. Mr Griffin told Independent.ie: "I missed it by 30 seconds. I walked out through the gates where the attacker would have come in. I had a meeting in the palace of Westminster. "By the time I walked in and was up to the third floor it was on the television. It was one of those sliding doors moments." Mr Griffin (30), from Co Tipperary, was in London to meet an MP and discuss Brexit. He explained that the whole building was put on lockdown. 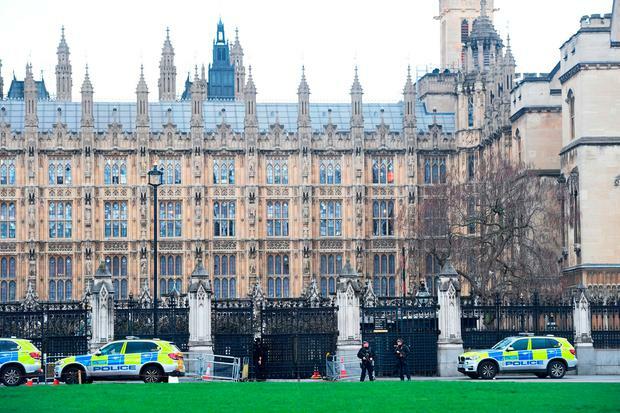 "They put up a cordon around the square and put those buildings on lockdown. It was quite frenzied, honestly. "It was one of those things that will be more scary upon reflection." He added: "The police acted efficiently and quickly." Asked what he did after the incident Mr Griffin explained that "like everyone else" they turned on the television and watched events unfold. The building was evacuated some time later and Mr Griffin explained that he has now departed for the airport and plans to fly back to Dublin tonight. 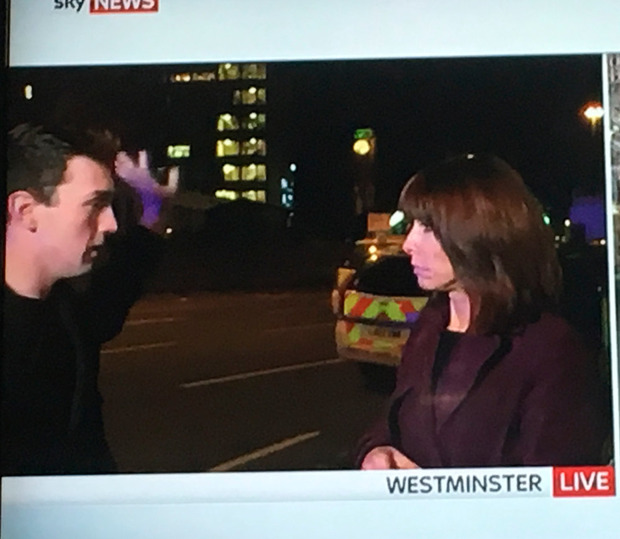 Irishman Tiernan told Kay Burley on Sky News that he heard three loud bangs and witnessed the terrifying scenes. He said the emergency services were on the scene within about five minutes and "it was constant after that". "There was a lot of commotion, people were running about. There was a lot of screams and I noticed people that were trying to help. By that time I was gone back in and gone upstairs. "When I did get upstairs I finally saw what happened, the chaos that was on the bridge." Tiernan said he was "cold and a bit shook" before adding that he wished he could have done a bit more to help the victims. He said he uses the bridge twice a day and this will not stop him going about his daily business. "I'd be more vigilant in the next coming days and I will probably use Waterloo bridge instead."